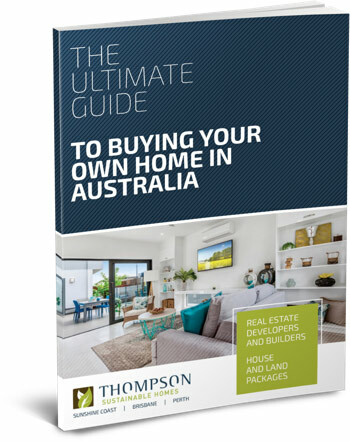 In this article we will outline a detailed step by step guide of each stage in the building process, highlighting the points when you need to make payments to your Perth or Sunshine Coast builders. 1.Initial deposit to the builder: When you have agreed on a Perth or Sunshine Coast house and land package with your West Australia or Queensland builders, you will need to pay them a small deposit to retain their services (usually $1500). 2.Builder sends you the contracts: The builder will then issue you with two separate contracts, one for the land and one for your house. You will receive these contracts by mail and when you have reviewed and signed each contract, you will need to return them to the builder. It is a good idea to have a real estate lawyer review the contracts for you, before you sign them. 3.Builder signs contracts: Once your Perth or Sunshine Coast builders receive the signed contracts, they will also sign each contract. At this point you have two legal contracts with the builder, one for the land and one for the house. You builder will then send you a copy of both signed contracts for you to keep safe. 4.Builder seeks Construction Insurance: With the signed contracts to hand, your West Australia or Sunshine Coast builder will seek construction insurance. This covers loss or damage to the building and structures (fire, theft, malicious damage, storm damage etc. ), as well as to building equipment and materials on site. Your builder will send you a copy of this insurance. 5.Final approval for finance: Once you receive your signed copies of the two contracts, you need to take them to your financial institution for final approval of your loan (if applicable). On the other hand, if you are paying cash and you are not requesting a loan from a financial institution, then at this point you will need to pay two staged payments ahead of construction or to set up a trust account, so that your Sunshine Coast or Perth builders have the money to commence construction. 6.Financial Institution approves your finance: As soon as your financial institution issues you with an unconditional finance approval, you need to send this document to your builder; construction cannot commence until your builder has this approval. If you have any problems obtaining final approval from your financial institution, it is vital that you inform your Queensland or Western Australian builders, as they may be able to assist you in finding an alternative solution. Variations – If you wish to make changes to your working drawings, this may be discussed at your colour selection and a quote will be forwarded to you for your approval. Any variations requested after your colour selection will incur an additional administrative fee. PC Amount – ‘Prime Cost’ is an allowance within your contract for the supply and delivery of items i.e. tile supply. You need to release funds at specific times during the build, to allow your Perth or Sunshine Coast builders to pay for these items. PS Amount – ‘Provisional Sum’ is an allowance within your contract for the supply of labour and materials i.e. landscaping and fencing, cabinetry, carpets etc. 8.Final signoff on drawings: At this point, all of your house designs should be finalised, as well as your colours, tiles, floorings and cabinetry. Any changes from this point onwards will incur additional costs. 9.Land Settlement: It is at this point that land settlement takes place between yourself and the owner of the land (usually the Perth or Brisbane builders). This involves payment for the land to your builder, who also needs to receive the land settlement documents. 10.Paying 5% deposit to your builder: After receiving confirmation of your unconditional financial approval, the first payment towards your home is due. As shown in the contract, this is 5% of the contract price and an invoice will be provided to you by your Perth or Brisbane builder. This invoice will also show the initial $1500 deposit that has been paid by you and payment of the balance of the 5% deposit will be due within 5 business days of the invoice. Once the deposit is paid in full and your colour selection and variations are finalised, your pre-construction documentation will be finalised. 11.Developer issues Estate Covenant/Design Guideline Approval: This is where the design essentials guidelines come into play, making sure that the external design and colour selections of your new home adhere to these guidelines. 12.Documents completed: Your Queensland or West Australia builder will commission the working drawings, engineering plans, soil tests and energy rating certificate, as well as any other required documentation to be prepared and completed, before construction can commence. building approval. The council has up to 20 business days to provide a plumbing approval, which the Building Certifier needs before they finalize the building approval; the application for your building approval will take several weeks. 14.Building Approval issued to builder: Once your builder has been given building approval, you will need to submit the final approved plans to your financial institution. This is the end of the pre-construction phase of your house and land package and now you are ready to move onto the construction phase. Once the building approval has been issued and any other approvals obtained, your Perth or Queensland home builders will aim to commence building within two weeks. As your West Australian and Sunshine Coast house and land builders, please do not hesitate to contact Thompson Sustainable Homes if you have any queries regarding any aspect of the construction phase. 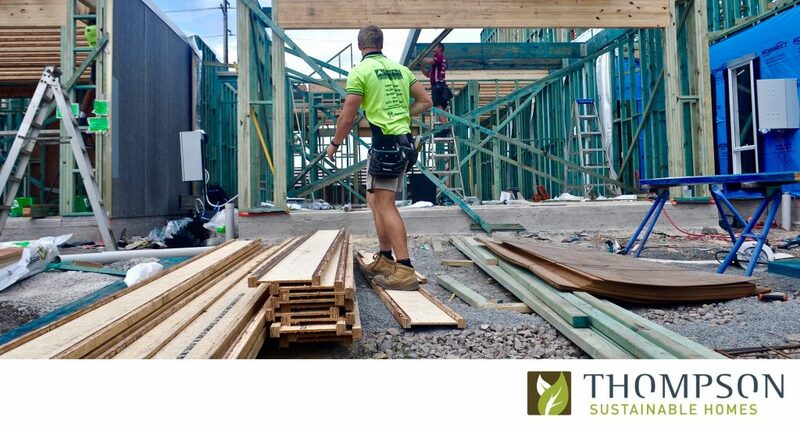 Site safety is of paramount importance for all Thompson Sustainable Homes worksites. It is our responsibility as the Principal Contractor and Queensland or Perth builder of your home to ensure the safety of our subcontractors, employees and any other person who enters the site. Site inspections: We know you will want to inspect the site from time to time as work progresses. However, whenever you would like to go on site please contact your Site Supervisor or Contract Administrator beforehand, to arrange a convenient time. Site discussions: You may also wish to discuss the progress of your home with our subcontractors, however we find that discussions with subcontractors about alterations or additions can lead to misunderstandings. This is why all queries need to be discussed with your Contract Administrator, rather than with the builders and trades people on site. Staged payments: Throughout construction, progress claims will be issued to you by your builder for payment once the works have reached the stages set out in the progress payment schedule. Please be aware that when the work is deemed to be complete, payment will then become due and must be made in order for construction to progress to the next stage. When your home has reached Practical Completion we will prepare a final account for you which reconciles and adjusts (if necessary) any Provisional Sums and accounts for any variations to the contract. As your West Australia or Sunshine Coast builders, at our handover meeting we will require you to make payment of the final claim in the form of a bank cheque. You will also need to ensure that your preferred electricity supplier is notified and a change of name has occurred along with having your building insurances in place. Together we will carry out an inspection to note any items that may need attention. Once this has been completed, we will then handover all your keys and warranties and you may take possession of your wonderful new home. If any defect items arise within 180 days of handover, we ask that you write to us with a list of items that may need rectifying, together with any relevant telephone numbers and access times. As you can see, there are a lot of different steps in the process of building your new home, but as your Perth and Sunshine Coast builder, Thompson Sustainable Homes will be with you every step of the way. For more information on our Sunshine Coast or West Australia house and land packages, call Thompson Sustainable Homes on 1300 904 040 or complete our online enquiry form .